I have very pale skin and I often find it difficult to find foundations to match me. Alot of brands don't seem to go pale enough for me and if they do, it's usually the wrong tone! I thought this would be a great post to help you find out your skintone and there is some brilliant advice. House of Fraser have collaborated with me on this post and have put together some top tips for identifying your skintone and what shades will help to bring out your features. First of all, Betzy Carmona from Betzy’s Makeup top tip on identifying your skintone. Apparently, anyone with warm undertones tends to have red or brown hair with brown, hazel or green eyes. Although, blondes can still be warm toned! 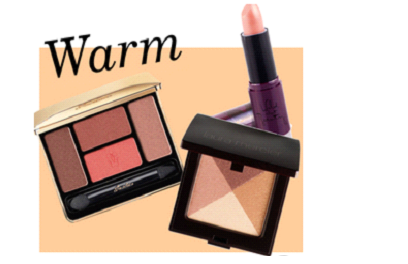 The recommended shades are warm, earthly shades with a yellow based foundation and a peachy blush. People with a cool undertone can have blonde, dark brown or black hair. They can be pale skinned and have blue, grey, green or black eyes. 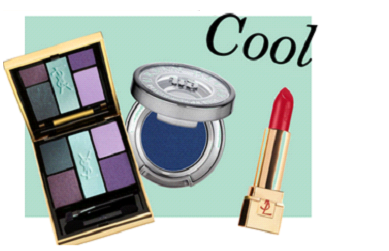 I am cool toned as I have brown hair, am very pale and have green/blue eyes. Cool skintones suit jewel tones with a pinkish blush. Again, this can vary between the individual so don’t worry if you don’t fit into this description! I like using Benefit Highbeam. I haven't used it in a while, so Hannah has just reminded me I may want to find it and start using it again! The shade of it really suits my skin-tone and it is generally a lovely product to use. If your vein test showed you have a mixture between blue and green undertones, this can mean that you have a neutral skintone. Having a neutral skin tone means that you suit both warm and cool shades, giving you the best of both! You could have mixture between any hair and eye colour, although, matching your foundation may be a little trickier! I hope you have found this post useful. I find when my foundation matches me not only in shade, but in tone, my skin looks a lot healthier and more natural.